2015 is a year of anniversaries important for all families: 50 years of Medicare. 50 years of Medicaid. 80 years of Social Security. Sen. Wyden’s three Medicare commitments deserve support from every lawmaker who really cares about Medicare and fair access to health coverage for all older and disabled people. That was Medicare’s promise in 1965. It’s up to us, and today’s lawmakers, to ensure it remains Medicare’s promise in 2015. We hope all members of Congress will start by committing to Sen. Wyden’s Medicare resolutions. The Ryan plan for 2013 is the same as the Ryan plan for 2012 and 2011: Privatize Medicare and repeal the Affordable Care Act. Once again the Ryan budget proposes to preserve Medicare in name only. It would change Medicare into a defined voucher system, sending beneficiaries into the marketplace to purchase indiivual insurance plans. These ideas were at the heart of the 2012 election. They are about changing the way government and Medicare work, not about saving Medicare or money. The proposals were rejected at the polls. If Medicare and the deficit are really our concern, there are real savings possible that would not harm older and disabled people: Bring down the prices Medicare pays for drugs. Stop all overpayments to private Medicare Advantage plans. Add a prescription drug benefit to traditional Medicare. 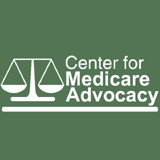 Lower the age of eligibility for Medicare. Let the Affordable Care Act work. Mr. Ryan, move on! Join us in focusing on real solutions. One of the myths that was repeated during the debate is the familiar claim that the Affordable Care Act cuts Medicare by $700 billion – the same claim that has been debunked time and again. In fact the $700 billion in savings are largely a result of rolling back unnecessary, wasteful overpayments to private Medicare insurance plans. Congressman Ryan’s budget plans have included these same $700 billion reductions; however, instead of ending overpayments to private insurance companies with the savings, Ryan’s plans would give private insurance companies an even larger share of Medicare expenditures. The Ryan Plan to end Medicare would provide each individual with an annual allowance with which to purchase a health plan in the private market, would raise costs for current and future beneficiaries, and would repeal important Medicare benefit improvements, added by the Affordable Care Act (ACA). The ACA Medicare improvements include extending the solvency of the Medicare Trust fund, lowering prescription drug costs, adding new coverage for preventive services, and eliminating cost-sharing for most such services, such as mammograms and prostate screenings. Mr. Ryan and other policy-makers often talk about waste, fraud, and abuse in Medicare. Yet too often these same policy-makers plan to extend private Medicare to restructure the entire Medicare program. They claim this will save money for Medicare, taxpayers, and beneficiaries. But a new study, once again, confirms just the opposite. In a forthcoming issue of the International Journal of Health Services, researchers report that “Medicare has overpaid private insurers by $282.6 billion, or 24.4 percent of all MA payments, since 1985. In 2012 alone…MA plans are being overpaid by $34.1 billion, or 6.2 per¬cent of total Medicare spending”. This means nearly a quarter of all payments to private insurance companies in Medicare, subsidized with taxpayer dollars, have been unnecessary overpayments that have gone to profit margins and administrative costs, not health care services. Talk about waste! The authors of the International Journal study conclude that the decades-long experiment with privatizing Medicare should end. Instead, policies should be developed to focus on the real issues of overall health costs and access to coverage. However, if the Ryan plan takes effect, the wastefully expensive private Medicare program will be expanded. Meanwhile, the cost-effective traditional Medicare program will be allowed to wither, and beneficiaries will become responsible for dramatic increases in out-of-pocket costs. Mr. Ryan’s plan continues wasteful overpayments to private insurance companies at the expense of beneficiaries and taxpayers. It is not a plan to preserve Medicare, protect older and disabled people, or reduce health care costs.